(0 Customer Reviews) | Write Review 3 issues per year CRAFT ARTS INTERNATIONAL is a tri-annual magazine specialising in the documentation of contemporary visual and decorative arts. Whether you are an artist yourself, a collector or just interested in the beautiful pieces of art work showcased in this quality publication then this magazine is for you. Download today. CRAFT ARTS INTERNATIONAL is a tri-annual magazine specialising in the documentation of contemporary visual and decorative arts. 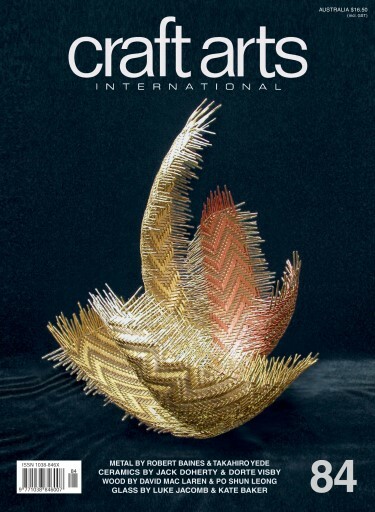 You'll receive 3 issues during a 1 year Craft Arts International magazine subscription. You'll receive 3 issues during a 1 year Craft Arts International magazine print subscription.